It was with mixed feelings that I left home in early May for a week on the Western Isles. I’m always happy to be visiting these Atlantic outposts where the only thing to be relied upon is the unpredictability of the weather. I’m always happy for the opportunity to put money into the local economy and to further the economic case for nature-based tourism. In all likelihood however, this was my last visit – the last of many over the years – certainly leading a tour group. The west coast of Scotland can be unpredictable at the best of times – that’s why we like it so much. But then there’s unpredictable and there’s downright outrageous; the weather this last week during our Wild West photo tour was camped firmly in the latter. Snow, hail, wind, rain and glorious sunshine – we had it all, and most of it in just one day! But if you want dynamic light – and to be fair that’s what this tour offers – the Western Isles of Scotland is THE place to be. There’s something primeval about standing on a rocky ledge with the angry pounding surf of the Atlantic just feet away; equally there’s no more a soothing sensation than a tranquil turquoise ocean caressing the white sands at your feet. Call it what you will – spiritual renewal if you like – it’s the contrast, the juxtaposition, the ludicrous beauty before you, that is both intoxicating and addictive. You can never have enough of this photographic nectar. From our cosy bolt hole in North Harris our hardy group ventured out each dawn. Harris and Lewis, our chosen islands for this tour, are not best placed to offer views to the east – they better lend themselves to sunset interpretations, but as I say, this is a place of unpredictability. We photographed Luskentyre every which way and in all weathers and if nothing else, it made our hearty breakfasts slide down that bit easier! Callanish was disappointing and although the famous stones were obligingly coated in icing sugar snow, they were also coated in tourists making photography almost impossible during the few brief minutes of footprint-free snow cover. We ventured to the remote rocky shoreline of West Lewis to be greeted by hail that felt like nails being driven in to your face and then, only minutes later, the most glorious sun glistening on the wet rocks. And so it was for the whole tour. I’m guilty of repetition at the best of times but we really are blessed with the good nature – not to mention good humour – of our tour groups and the Wild West Class of 2012 was no different. My sincere thanks to Thelma, Sasha, Roger, Gill, Duncan and Debbie and of course Paul (veteran of many Northshots tours) for their really excellent company and valued custom. There was a Bohemian monk who went to bed in a bunk…no, on second thoughts best just hold that in the memory banks!! If you’d like to join us on the Wild Wild West Coast in 2013, details will be published on our tour page shortly. Back in April I spent a few weeks for the 2020VISION project just about as far west as Britain will allow. The Outer Hebrides is a challenging environment and for a good part of the time it rained – that was inevitable. One evening more out of hope than expectation (it was raining again) I visited a remote beach bathed in aquamarine waters. Just before sundown, the rain abated and I took my chance working feverishly for an hour or so before the light became impossible. 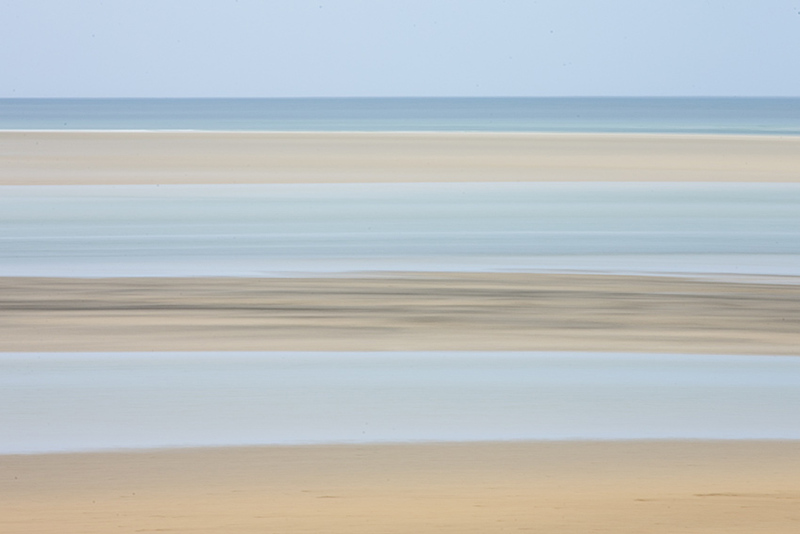 There are lots of images like this one but only this was taken by me, alone on that Hebridean beach.